Proposal is for enhanced table filter contol to simplify the user interface and introduce the concept of 'standard' and 'custom' filters. 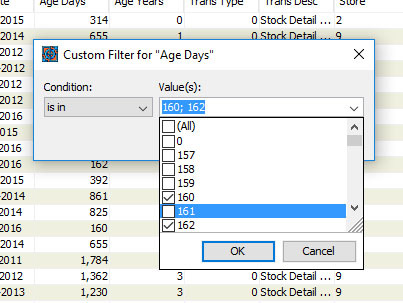 Behaviour - Selecting an item in the initial list should filter the data for that single value. 2 Add (All) and (Custom) items to initial list. 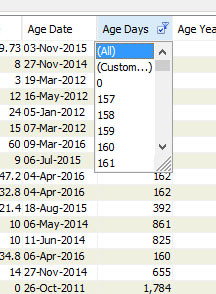 Behaviour - Selecting (All) to remove all filters from that column. Selecting (Custom) to open new dialog. Illustration of 'is between' filter. Hi @David Bolsover, thanks for putting this all together. I don't think we will want to rid the buttons or simplify this into a ComboBox because it would lose some major functionalities. I would prefer we mimic how excel does it and make it intuitive to accept multiple values. 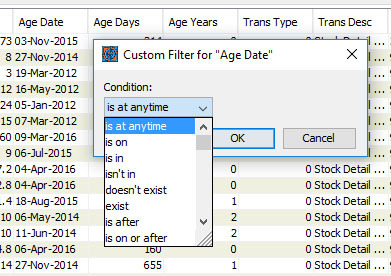 I think there might be a valid use cases to use your own menu items, and possibly standardize a few custom filter operations for things like dates and numbers. If we are going to allow heavy amounts of customization... we should encourage building your own controls and have them play with this one by wrapping around another FilteredList. You can even invoke these controls from the custom MenuItems. Let me think about this for awhile as I don't want to complicate the APi. And I want to do this correctly. No problem - it's your project and you must do what is right. 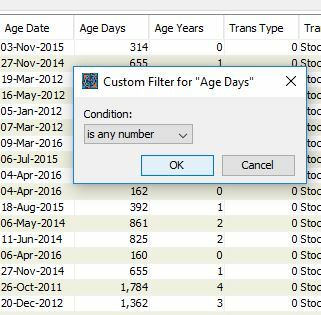 All I'll say is that having deployed a number of projects with the table filters as illustrated - my clients think it is great! They particularly like the prebuilt custom filters - of which there are many. If it helps, I can try to put together a listing of the datatypes and predicates built into the tool. 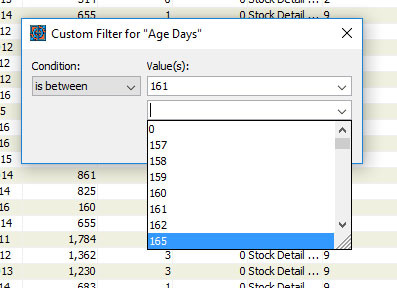 Maybe next up can be a pivot table? Haha baby steps : ) I agree a pivot table would be awesome although it would be a huge undertaking (I just tell my users to dump to Excel at that point). If you want to document it that's cool. There is no guarantee I or anyone else can get to building it immediately as our bandwidth is tight. But if you want to hack into it and create pull requests, Ill be happy to make time for that. 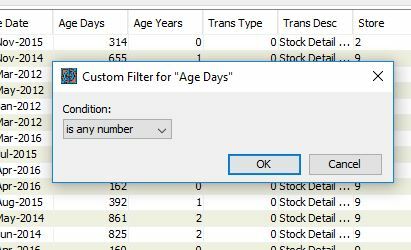 LOL - I used to tell clients to dump table data to excel - but then started using the jidesoft pivotpane component (awsome) - and they (the clients) simply love it. I'm quite certain that several jobs have been won simply because of this one component. Problem now is that I can't migrate to JavaFX because there is no suitable replacement and I doubt my own ability to create one. Be very happy to draft out some specs and possible object model though.